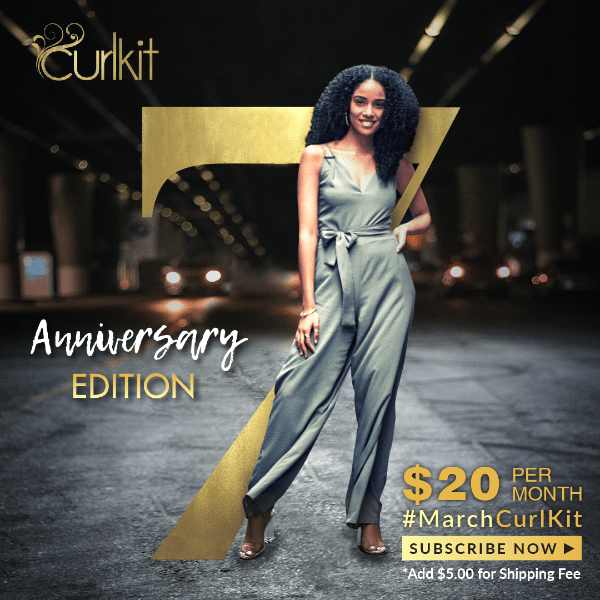 The March 2019 CurlKit is the 7th Anniversary Edition. Read the details + 50% off coupon! 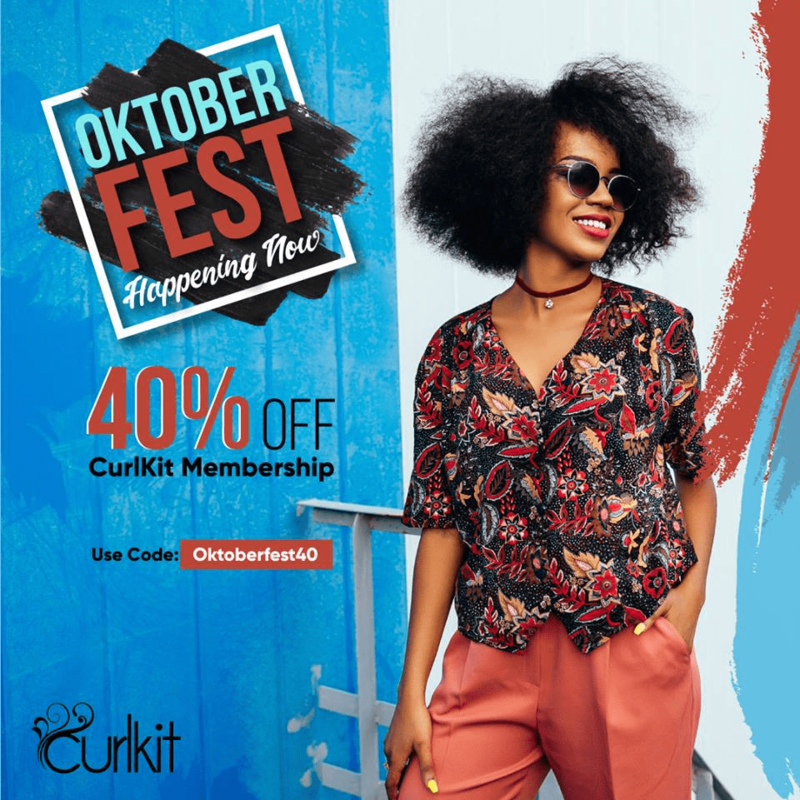 Get 40% off your membership at CurlKit this Oktoberfest! Plus, check out the spoilers for October 2018! 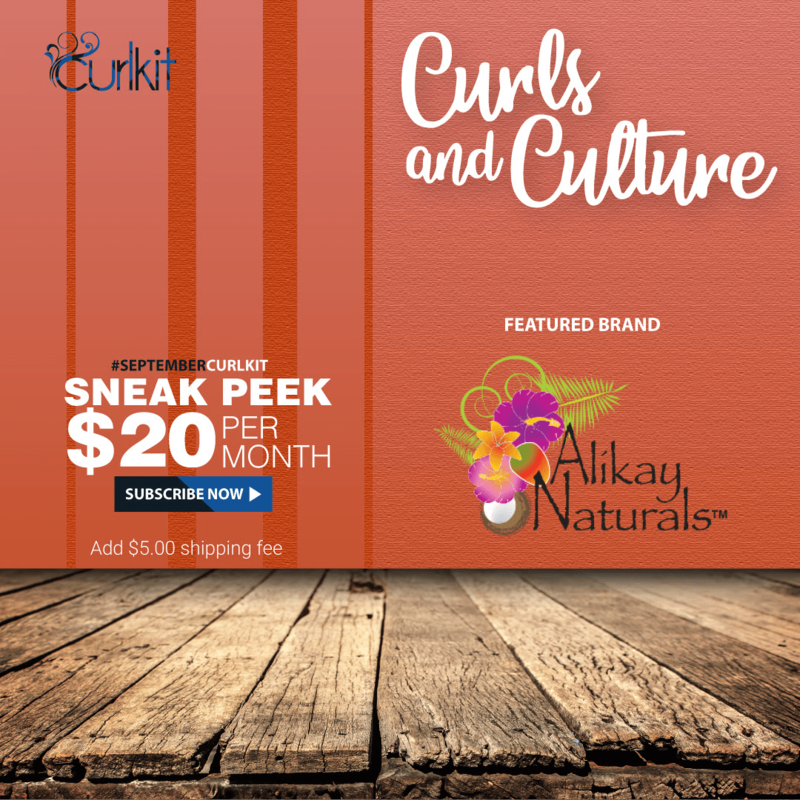 The theme for the September 2018 CurlKit is Curls and Culture featuring the brand Alikay Naturals. Read the details + coupon! For August 2018, CurlKit features their Couture Bride Edition. Read the details + coupon here! For May 2018, CurlKit is features hair care essentials all infused with Coconut Milk. Read the spoilers + coupon here! For April 2018, CurlKit is featuring is Shea Moisture products!